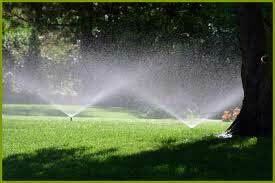 Reduce Your Water Bill with a Soil Moisture Sensor from Lawn Management Sprinkler Co! The Lawn Management Sprinkler Co is a full service irrigation company based in Cincinnati, Ohio specializing in retrofitting existing sprinkler systems to conserve irrigation water usage while promoting healthy landscapes. As a full service sprinkler company we also offer water efficient irrigation system designs, installation, and repair to keep your lawn and landscape looking beautiful. 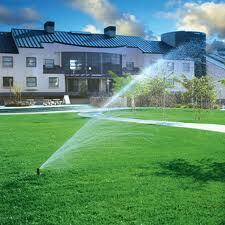 We are the irrigation company to call for water conservation. A retrofit to your existing irrigation system with a soil moisture sensor could save on the cost of irrigating landscapes and lawns because the sprinkler system only waters your lawn and garden when the soil really needs it. Call today to see how we can help you conserve energy and water, and save on water bills. The Lawn Management Sprinkler Co serves the Greater Cincinnati area, including Miamiville, Terrace Park, Mason, Fairfield, Amelia, Montgomery, West Chester, Glendale, and Dayton; as well as the Northern Kentucky area, including Bellevue, Ft. Thomas, Covington, and Florence; and SE Indiana. Please contact our Eco-Friendly Irrigation Company for a free quote or to schedule an appointment today!